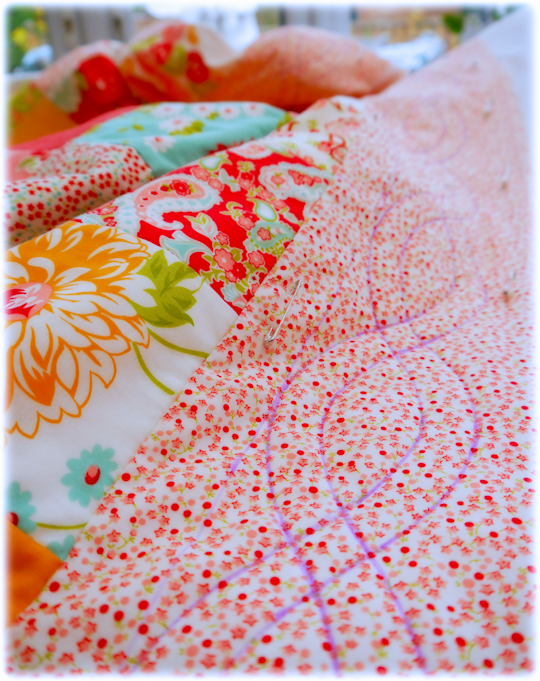 Gorgeous Quilt - Totally agree, hand sewing, old film and a cuppa! 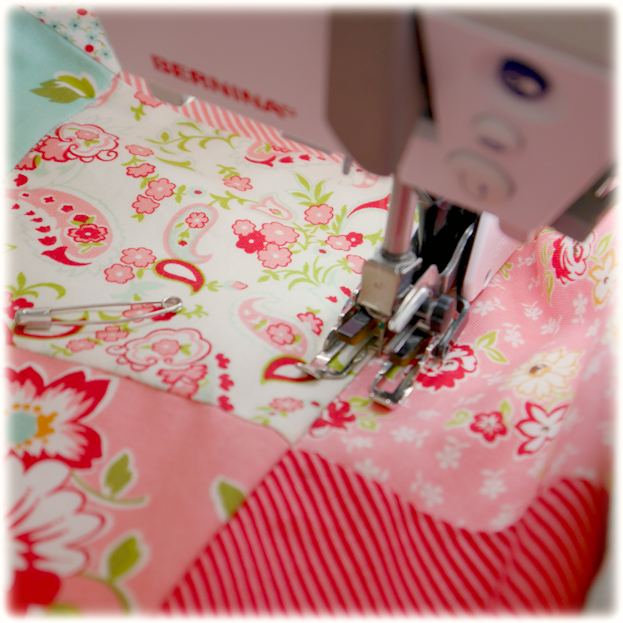 Beautiful quilt.....my favourite bit too.....hand stitching down the binding. I've got quilt envy quite bad! I do so enjoy seeing your photographs of all your beautiful work. Your quilt is an utter delight, and must give you so much pleasure at seeing all those small pieces become a wonderful tapestry of colour. It certainly inspires me to keep busy with my needles. I hope you and your family have a wonderful weekend, and that the sun will shine for you! 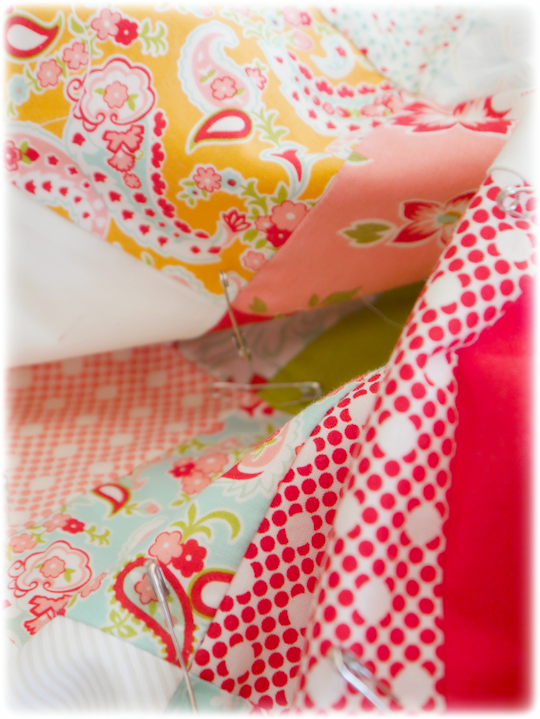 Such pretty fabrics...it will look gorgeous on a bed. 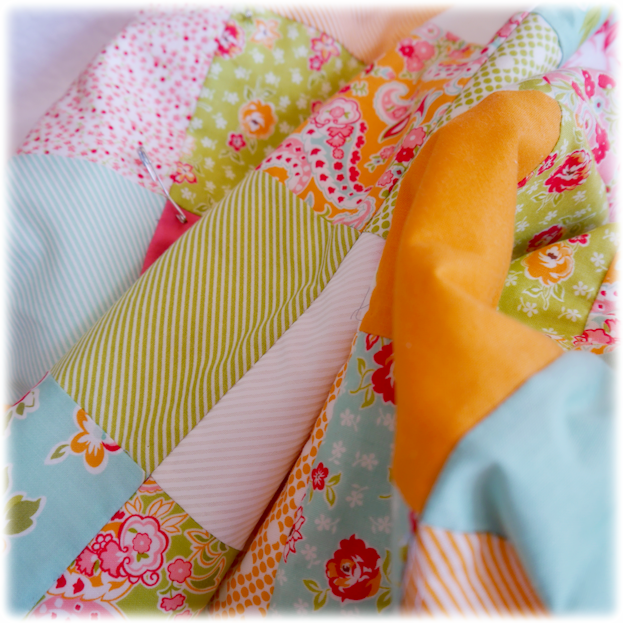 Definitely a cheery, summery quilt, Susan....beautiful! Enjoy a delightful weekend, and many blessings for all of your creating. 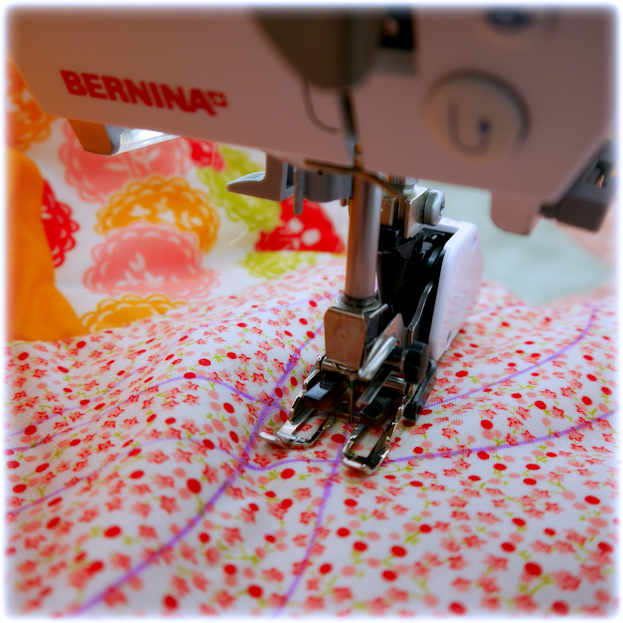 Lovely quilt and photos too, it gives me confidence to try to machine quilt my own work, I have sent it off to a quilting firm in the past. 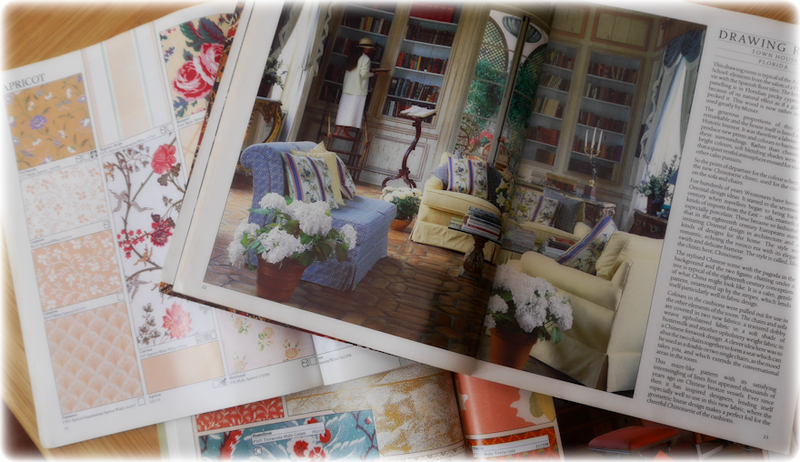 I too was in love with Laura Ashlely I used her wallpaper in my first home in the eighties, soft green with little white sprigs, so lovely. It must be fantastic when finished. So vibrant colours for a talented stitcher! 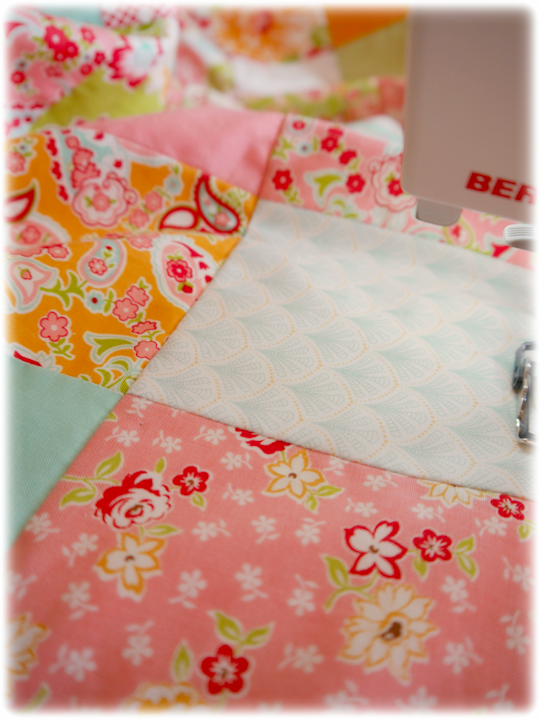 So beautiful, dear Susan....your post, your new quilt and your photographs are a joy to see! It is lovely to see you making this quilt, and it is going to be such a beauty. 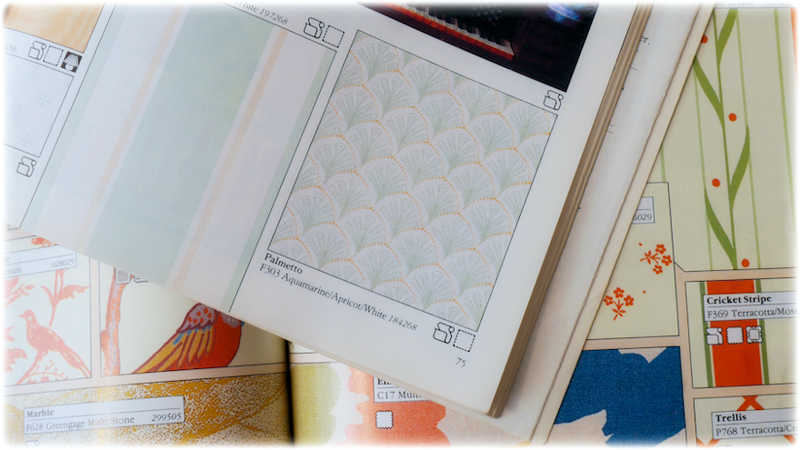 I too remember that Laura Ashley print :) It makes me so nostalgic when I see old LA prints, taking me back to our old homes and past times! Hope your quilting marking came out for you. 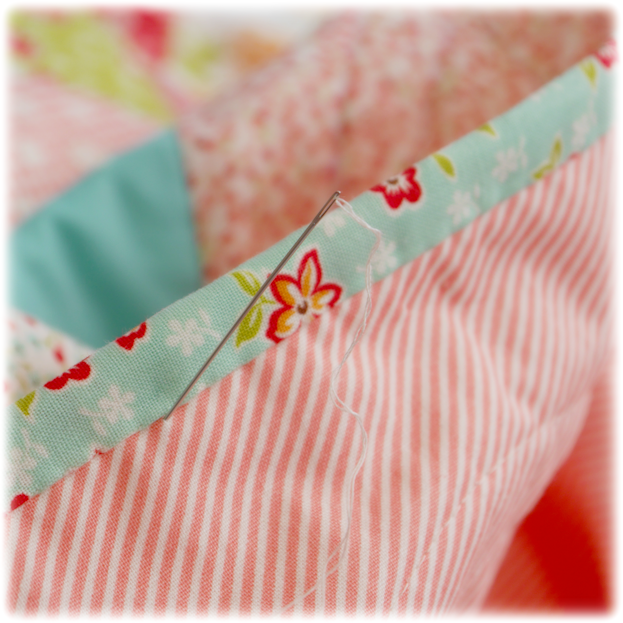 The first quilt I made was Laura Ashley fabric, 24 years ago and we still use it daily ! Now that is going to be stunning!